This Dark Chocolate Espresso Glaze pairs beautifully with the our many chocolate Amish Friendship Bread recipes. Thanks to Lucia Ciattaglia for submitting this delicious recipe! This Dark Chocolate Espresso Glaze pairs beautifully with the our many chocolate Amish friendship bread recipes. Melt the chocolate in a double boiler, stirring constantly. Remove from heat and let cool. In a separate bowl, combine remaining ingredients. Fold into chocolate and stir until creamy. 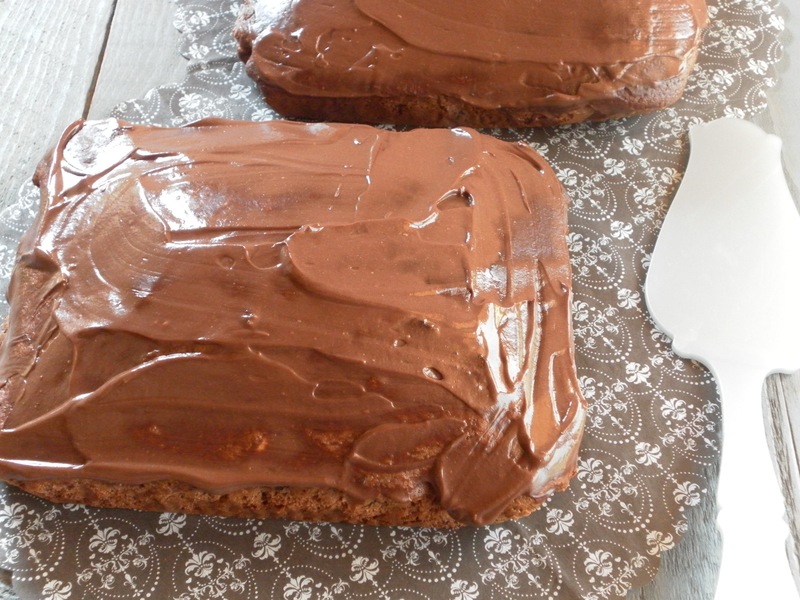 Put in refrigerator for 25 minutes to cool, the use a spatula to frost the cake or bread. FBK Photo Challenge of the Month: Lemon! Hi, im new on making friendship bread. I made my first friendship bread based on the original recipy. It was cooked in about 20 minutes but not cooked on the inside. I turned the oven down and put aluminium paper on the top of the loafs. They finaly got cooked but got down in the middle. The flavor was delicious but the crumble was a little dry. I think this has to do with the high altitude, 1800 meters over sea level… can you tell me how to make the adjustments?? Thank you! Hi Nuria! Yes, your high altitude will affect different aspects of your baking, mainly your leavening agents, baking time, and temperature. We highly recommend King Arthur Flour’s high altitude adjustment tables. They offer great suggestions for high altitude baking. You can find them here.